Mr. Hoc was the first person I met in AEPD. As I fidgeted with the straps of my backpack that Monday morning, I came face to face with a kind, older man. He smiled as I tried to introduce myself in my best formal “I’m-a-local” Vietnamese. Mr. Hoc was on his way out while accompanying Mrs. Hong (AEPD Chairperson) and the rest of a staff on a visit with Irish Aid, so they left before we got a chance to speak. Later that week, Mr. Hoc made his way over to my little corner of the office for a proper introduction and to ask me more about myself. He was the first outreach worker to do so. I never did tell him but I was quite grateful for this little gesture of kindness, because it went far in making this unfamiliar space and city feel a little more like home. Kindness. I think this is the one word that immediately comes to my mind when I think about Mr. Hoc. I got to know him a little better on our long trip to Tuyen Hoa Commune, where we recently bought a cow for the family of Mrs. Mai Thi Loi. Here is Mr. Hoc’s story. Born in 1958, Mr. Hoc grew up in rural Quang Binh province with three siblings. His hometown is a smaller, hilly commune, much more isolated than Dong Hoi City (Quang Binh’s capital and the location of AEPD). He joined the army in 1977 after the American War ended. Mr. Hoc himself was exposed to Agent Orange while cleaning up leftover dioxin barrels as part of his job. Many people reused these barrels contaminated by the dioxin, unknowingly putting themselves and their family in grave danger. Mr. Hoc’s oldest son is also an Agent Orange Victim. On good days, he is able to function normally, but on bad days, he is prone to mood swings and fits. He has also been known to wander the streets aimlessly. According to Mr. Hoc, veterans who served after the 1975 Fall of Saigon do not qualify for governmental support even if they were exposed to Agent Orange during their time in the military. This is highly unfortunate. In 1984, after fifteen years of service, Mr. Hoc was shot in his right leg in Laos. The bullet shattered one third of his shin, and destroyed his hip. He was transferred to a hospital in Hanoi, where he would remain for the next six years. Here, Mr. Hoc would have to go through a total of eight surgeries and countless hours of therapy to learn how to walk again. He was in so much pain that Mr. Hoc remembered asking doctors for an amputation so he could recover faster, but he held on and persevere with the support of his doctors. Another remarkable thing about Mr. Hoc I think is his willingness to learn and adapt. During our talk, he recounted stories of student doctors having to examine his leg while answering questions in order to pass their oral exam. He remembered reciting the answers to questions such as, “What are the degrees of disability?”, etc. under his breath. Even to today, he shows a keen interest for medicine and health. He not only remembers much of the medical knowledge gained from being in a learning hospital for over half a decade. He thinks about how to utilize the information in programs to help PWDs. Early on, I recalled Mr. Hoc explaining to me why early detection and easy treatment for neonatal jaundice are so important for families living in rural villages. Mr. Hoc is constantly trying to share his ideas and knowledge with the community, a quality I find admirable. He is also very quick to pick up on learning to use new forms of technology, from email to smartphone, so he can do a better job at work. He recently asked me to help him use an app to scan documents. I fully understand how difficult it is for my parents to use any form of technology, so it’s really refreshing for me to see someone else around their age who continues to try so hard to learn and do his best to improve the quality of his work. 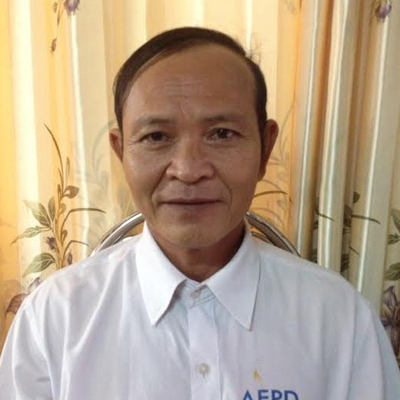 Mr. Hoc began working as an outreach worker for AEPD’s predecessor, Landmine Survivor Network, in 2006. When asked why he chose this line of work, Mr. Hoc says, “As a person with disabilities, I became an outreach worker to help my peers. If PWDs are not out there supporting one another, then who will? I want to help others gain a sense of social inclusion and better opportunities. 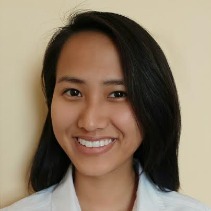 I also wanted to prove that I’m just like everyone else and that I can be a role model too.” There is no doubt in my mind that Mr. Hoc is a role model to many in the community. I distinctively remember making the trip to see Mrs. Mai Thi Loi the first time in July. Mr. Hoc was away for training that week, so I asked if I could leave the business plan behind and get someone from the local self-help club to complete it for her. Mr. Hoc immediately objected! I could hear him shaking his head over the phone, telling me to wait. “I will do it,” he says, “You need to do a good job and other people won’t be as careful.” Mr. Hoc was also the first person to volunteer when AEPD decided to expand their operation into Tuyen Hoa Commune, the farthest corner of Quang Binh Province. Now, in order for Mr. Hoc to get to Mrs. Loi’s home in Tuyen Hoa, he has to ride his motorbike over 2.5 hours one way. His wounds still hurt especially on such long rides, but he insists that he’s used to it. It’s amazing to see the level of dedication that outreach workers have for their work. 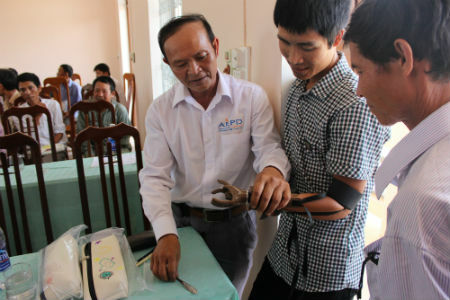 Over the course of a decade’s worth of service of AEPD, Mr. Hoc has advised countless number of PWDs, formed over nine self-help clubs and help to put together ten different business/production groups in Quang Binh. Mr. Hoc at a yoga training session for PWDs. Great post, Ai! I love reading your bio posts and getting to know the people that you work with. Their stories are so tragic but uplifting. You do a great job portraying their stories and feelings!